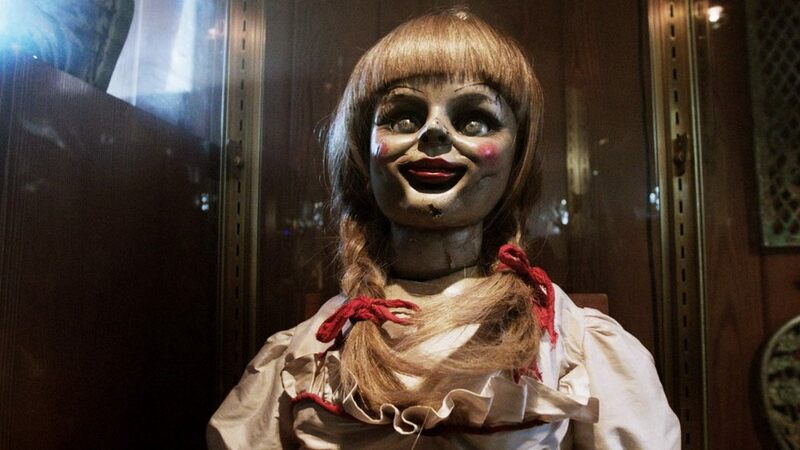 New Line Cinema has announced a sequel to Annabelle in the works, with screenwriter Gary Dauberman returning to scribe the film. The film’s predecessor, Annabelle, was a box office smash last year, grossing over $250 million on a $6.5 million budget. The film followed a couple experiencing supernatural events at the hands of a possessed doll, and was a prequel as well as a spin-off to 2013’s horror hit The Conjuring. James Wan (Saw, Insidious) directed The Conjuring while Peter Safran produced the film, and the two produced Annabelle together. No news has broken on whether or not the sequel will involve Wan or Safran, and the film has not yet been confirmed to include any of the same cast members in Annabelle Wallis, Ward Horton, and Alfre Woodard. Screenwriter Gary Dauberman’s credentials include work on A Nightmare on Elm Street (2010), Final Destination 5 (2011), and upcoming Universal Studios heist film Crime of the Century. Annabelle 2 is in the early stages of development, and no production timeline or release date has been announced. More details will begin to surface in the future.